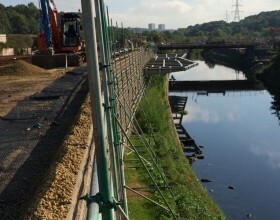 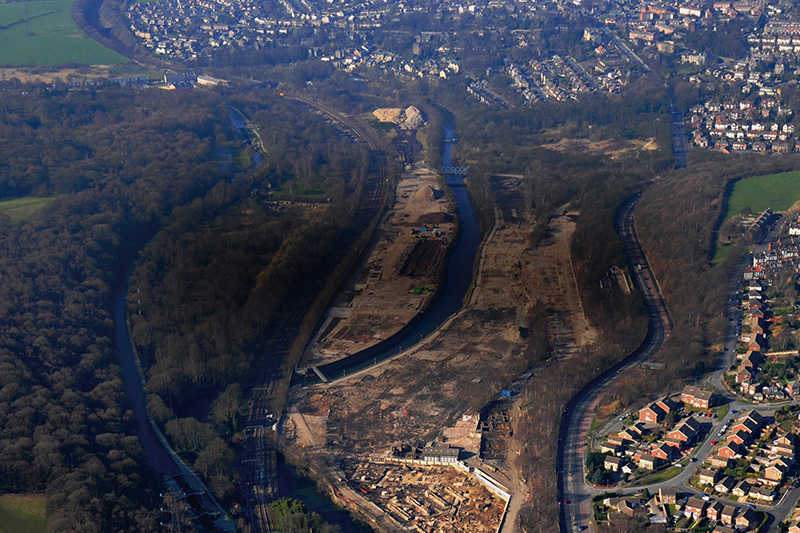 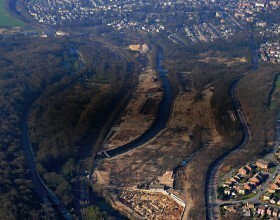 A historic part of Leeds is being given a new lease of life as Kirkstall Forge is set kick start the regeneration of the area. For over 800 years Kirkstall Forge has been a vital part of Leeds’ industrial heritage, with this part of the city forging metal since 1147 when Cistercian monks from the nearby Abbey began a centuries old tradition. 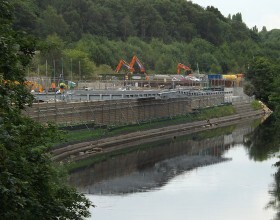 It’s in that tradition that Kirkstall Forge is set to be given another chance to be a part of Leeds’ rich landscape. 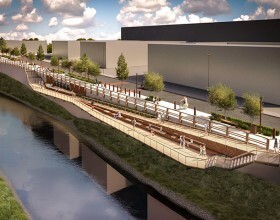 The company developing the site, Commercial Estates Group (CEG), plan to expose the ancient forge to show the machinery and water wheels as a focus for the community’s central hub complete with shops, cafes and leisure facilities. 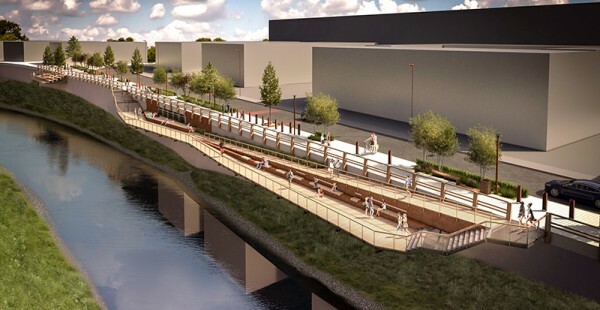 The design also plans to embrace the heritage of the site by reopening the medieval Mill Race to provide new ecological and landscape resource. 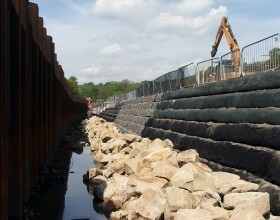 Plans drawn up by CEG and site owners GMV Twelve are impressive. 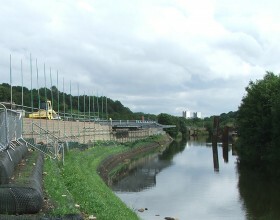 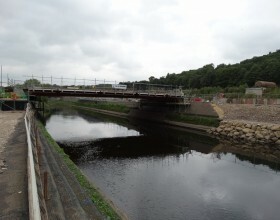 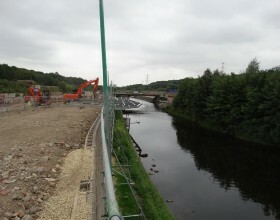 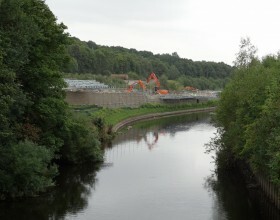 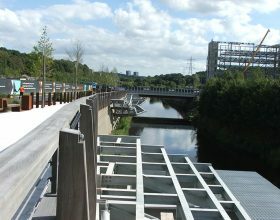 The key features include the construction of 1045 units that will include 460 affordable homes across the 65-acre site, from spacious apartments to three and four storey abodes, improved transport links along the A65, and the reconstruction of Kirkstall Forge railway station, last in use in 1905. 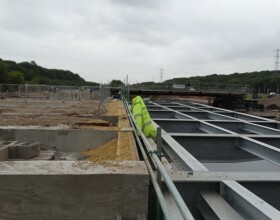 Contractor I&H Brown has been appointed by CEG and the redevelopment of the site is well advanced. 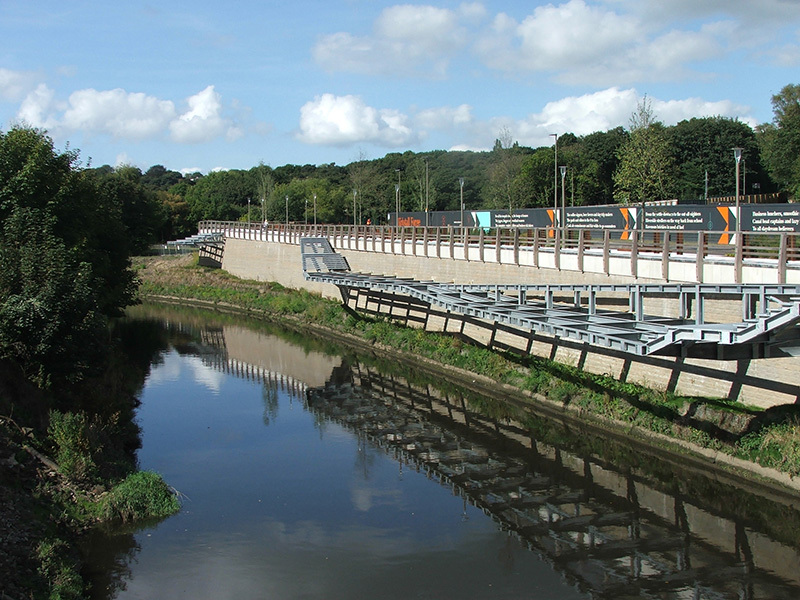 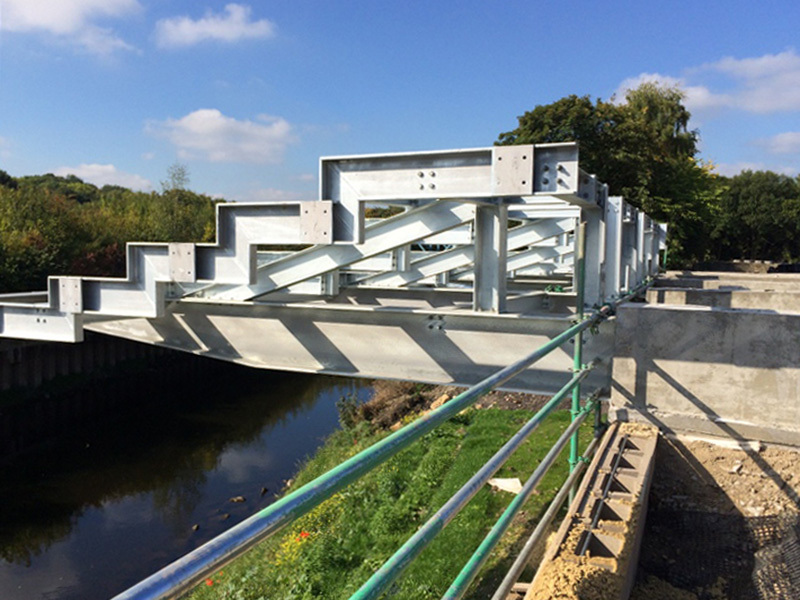 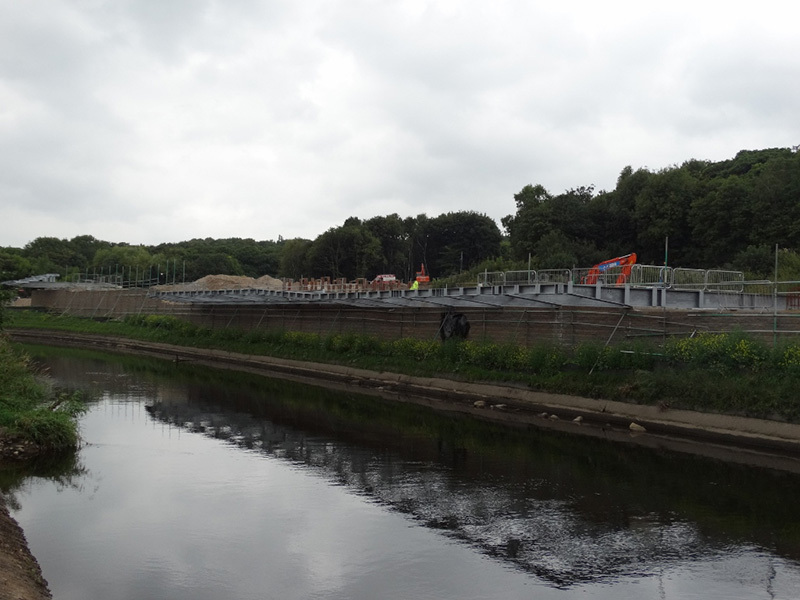 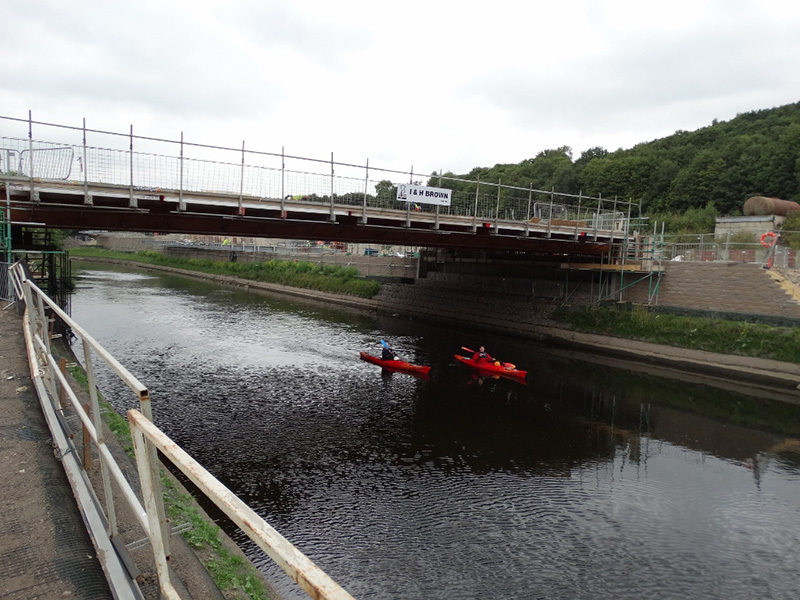 Central to the scheme is the reconstruction of the existing river banks to provide support for the new access roads and a new bridge linking the A65 with the railway station. 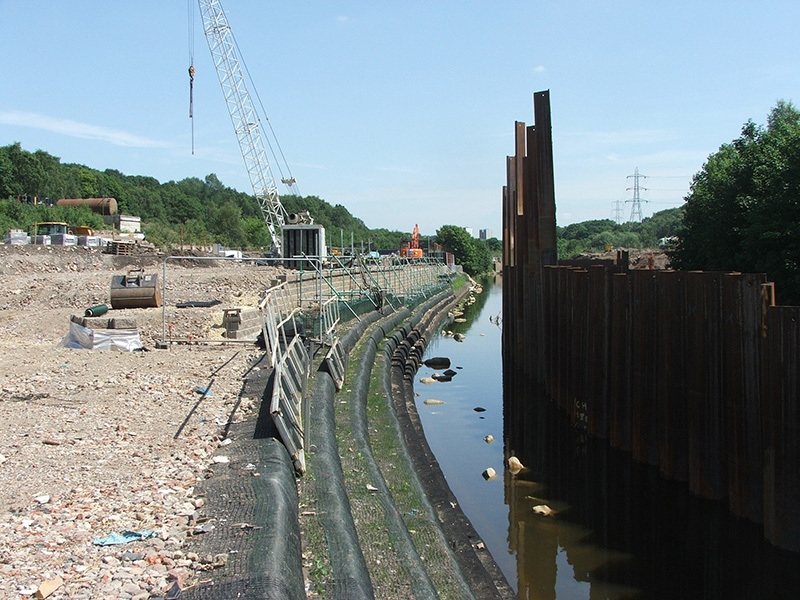 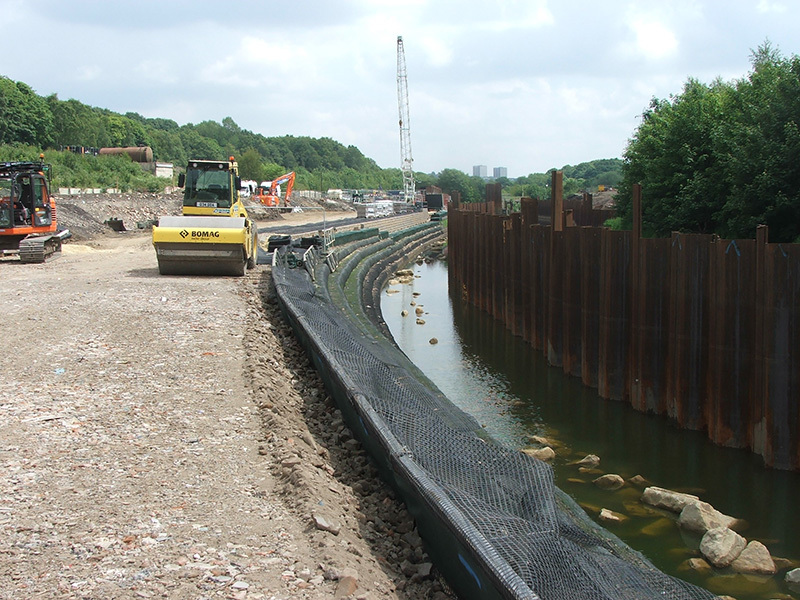 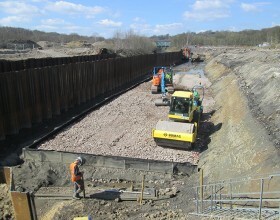 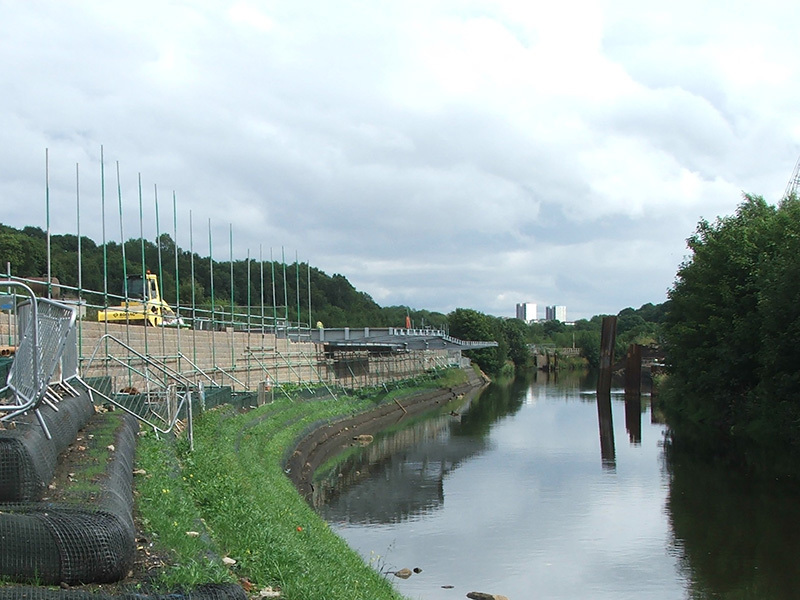 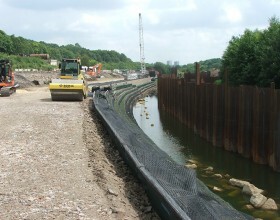 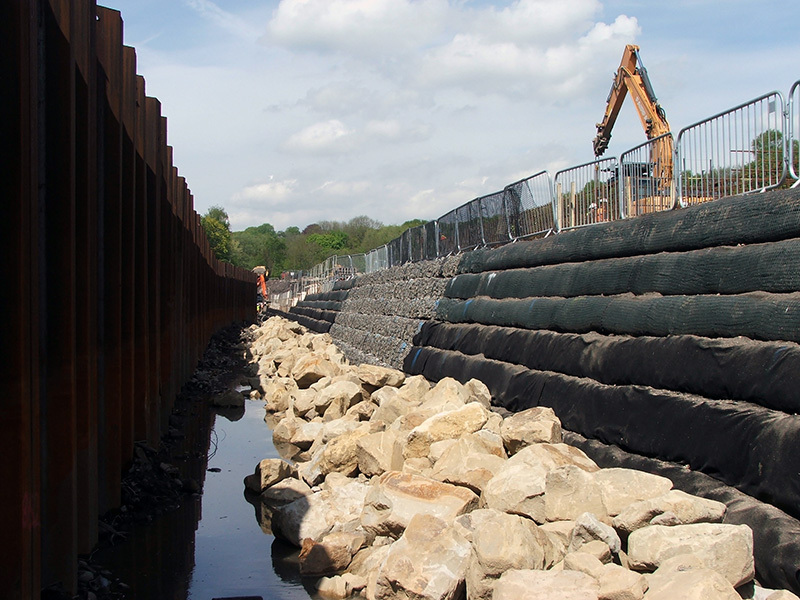 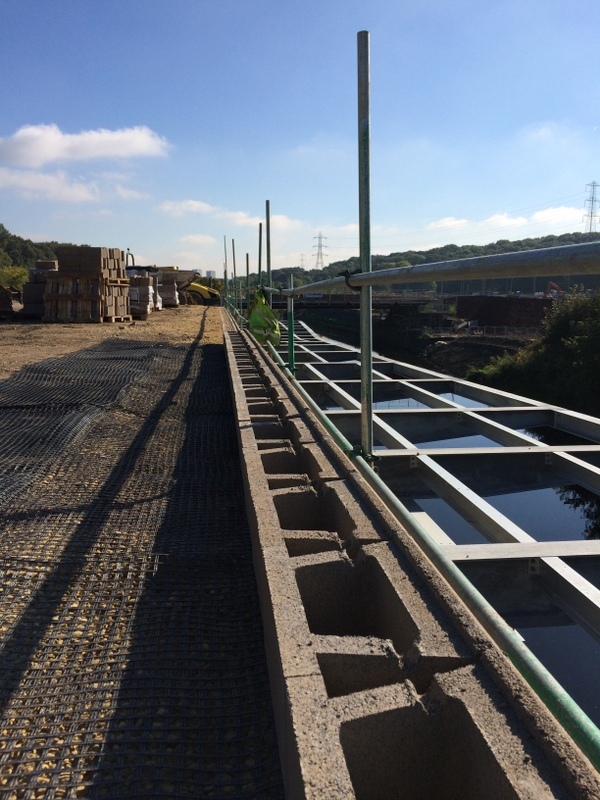 Scheme consultant White Young Green specified the use of reinforced soil embankments and retaining walls for the new river bank works. 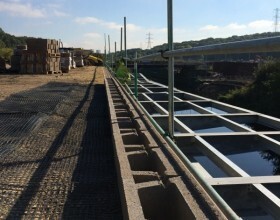 Specialist installer Thomas Ben has appointed PaSCoE to undertake the detailed design and detailing for the reinforced soil works. The works to the North Bank will comprise one of the most advanced uses of reinforced soil seen in the UK to date. 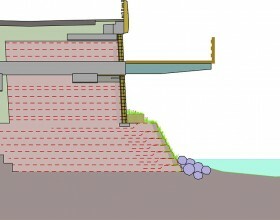 The lower section of the structure will be formed using a steep slope to support vegetation and natural habitat, with the upper section constructed using a segmental concrete block faced reinforced soil wall. 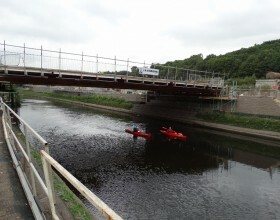 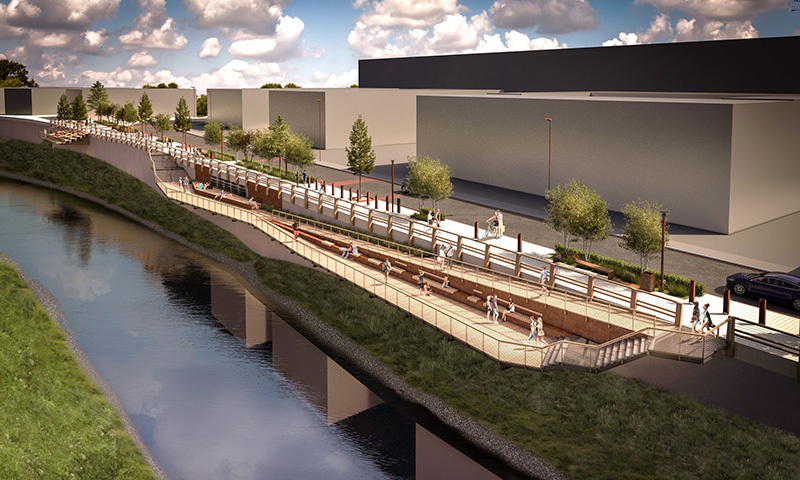 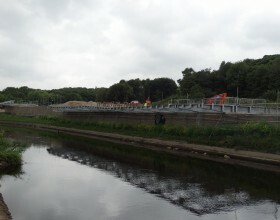 A pedestrian walkway and lounge area will cantilever through the face of the reinforced soil wall to provide users with a platform above the River Aire. 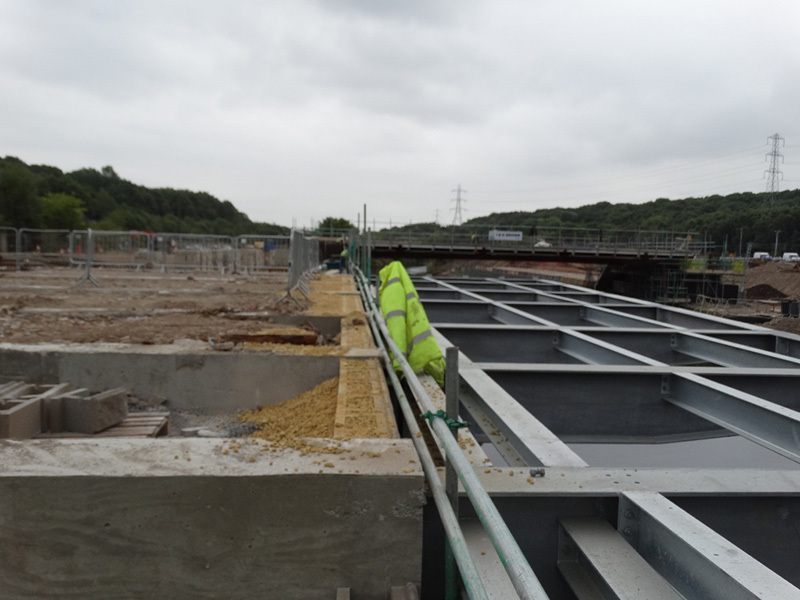 The new integral bridge providing access to the railway station will be supported off reinforced soil embankments. 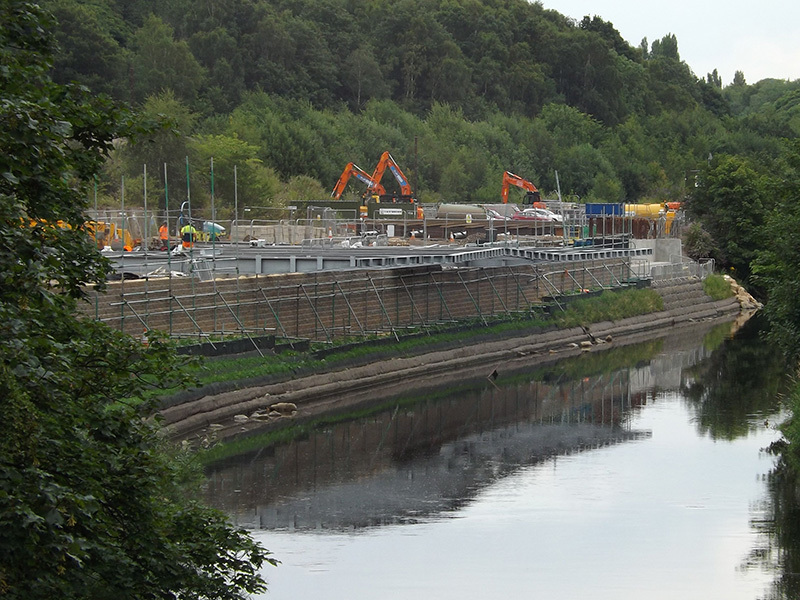 Construction of the reinforced soil works is expected to complete by October 2015. 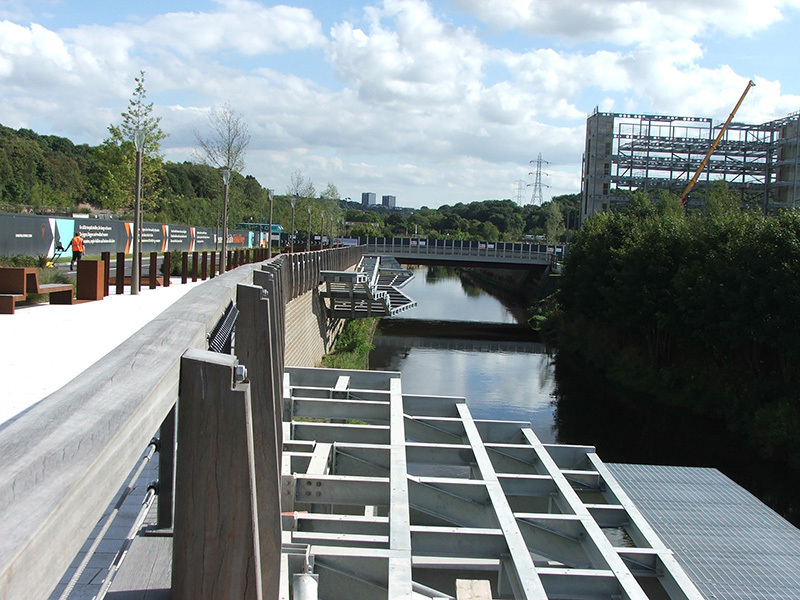 The development has already scooped a top award – the scheme being named the best mixed-use development in the country at this year’s national Placemaking Awards.